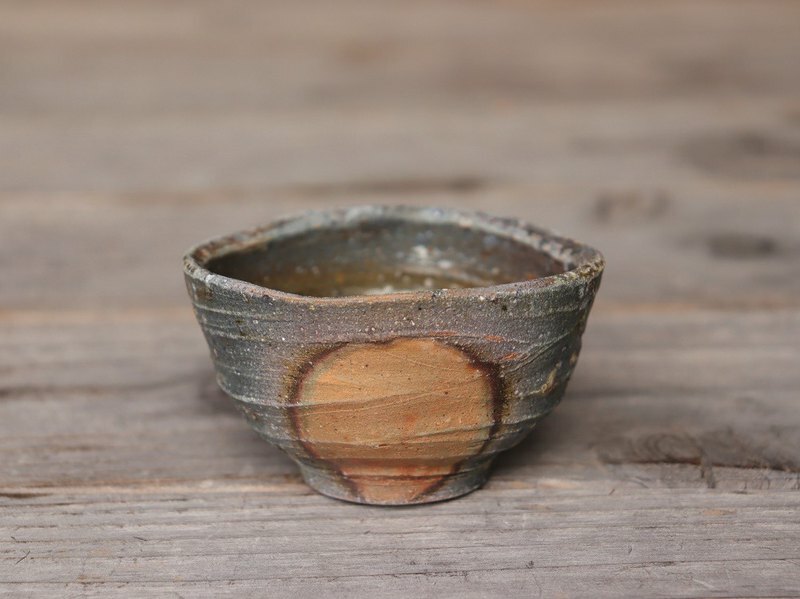 ● Approximately 5 cm (height) x 8 cm (width) Capacity Approximately 90 ml 100 g The feeling that it fits in hand is comfortable and compatibility with sake is outstanding. Scenery which accidentally appeared due to various factors during firing is rich in various changes such as blue gray, deep green, reddish brown. Uneven parts are one of the sights that can only be exhibited in firewood kilns. (We will deliver it in a paulownia box.) Bizenyaki is a machine that increases the taste to the extent you use it. Please raise it to your own instrument that is fun to use and more beautiful. ● The product is handmade, it is one point. ● Please understand beforehand that there may be some differences in color in the product image and the real thing. ● This item is recommended for those who would like to enjoy the texture of warmth not existing products. ● Microwave ovable, but warming degree.